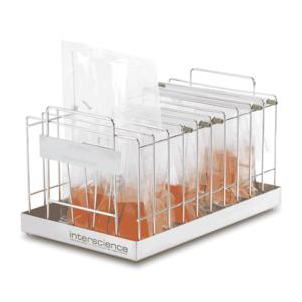 The BagRack® bag holder allows for clean and methodical storage of bags (closed for example by BagClip®). BagRack® is made of stainless steel and is stackable and autoclavable. A drip tray is also available.